Get instant access to all articles â" and 18 year's of archives. 30 days free trial. The paragraph allows abortion even after 12 weeks if the child was to be "seriously ill". It also allows the abortion of a healthy twin if its sibling was to be ill. Developments in medical technology were leading to a "sorting" of human beings, Solberg said in a recent blog post. "Many in our party do not feel comfortable about Norway, as one of the few countries in northern Europe, allowing the abortion of a healthy twin," she said. The move to tighten abortion laws in Norway, one of Europe's most liberal societies, goes against a wider trend in the region. Ireland, formerly a staunchly Catholic-conservative country, is preparing legislation to allow terminations following a referendum in May. Malta, the only EU country where it is still forbidden, has seen the flowering of a national debate on change with the recent staging of a new play, called De-terminated, about women who leave the island to do it in neighbouring countries. It is fully legal in all other EU states, including Nordic states, although women in Finland need medical permission to do it. It is also partly legal in Cyprus and Poland - the other two most restrictive EU jurisdictions, in special circumstances, for instance, if the mother has been raped or risks severe health complications. But the right-wing Polish government also wants to tighten restrictions, putting Warsaw, and now Oslo, on the opposite path to the rest of Europe. 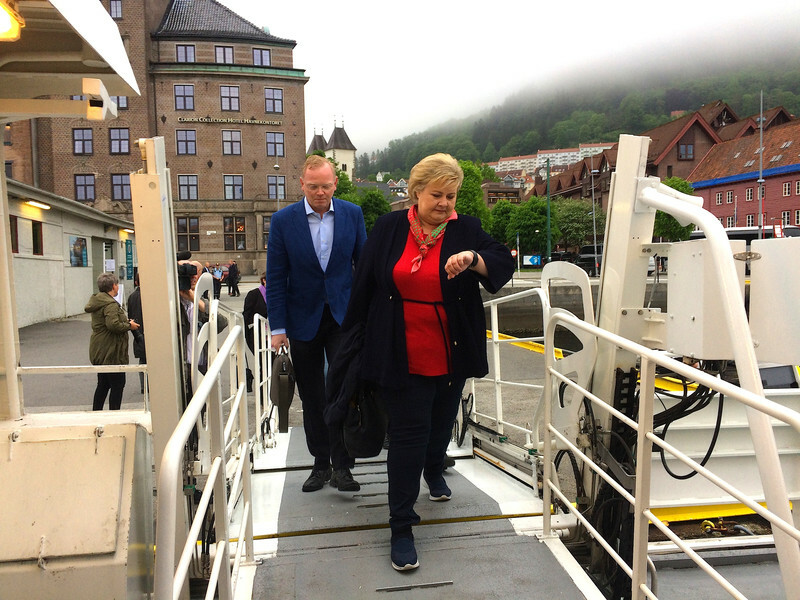 Solberg's idea prompted several thousand people to gather in front of the parliament, the Stortinget, in Norway's capital to voice opposition on Monday. It has launched a national debate on the issue, but it is also widely seen as a political manoeuvre designed to keep her in power, rather than a principled stance. Solberg's government is currently kept in power by the conservative and anti-abortion Christian Demo crats party. The tiny party, which has just eight MPs, never joined her coalition, but its support enables her to rule. But recent polls showed that its support in decline, so that if elections were held today, it would not even make the four percent threshold to enter parliament. That prompted its leader, Knut Arild Hareide, to say it wanted to enter a ruling coalition - either a 'blue' one with Solberg or a 'red' one with the opposition Social Democrats party instead. The Christian Democrats are split down the middle on which way to go, with an internal vote due on the issue on Friday. Hareide has backed the red option and would likely step down if he lost, amid Solberg's anti-abortion charm offensive. That would leave Solberg as the big winner, safe in her seat until the next elections in 2021. But the Christian Democrats also seem set to gain from the controversy no matter how it play s out. The abortion and future coalition battle has catapulted the tiny party into the limelight in the Nordic country. 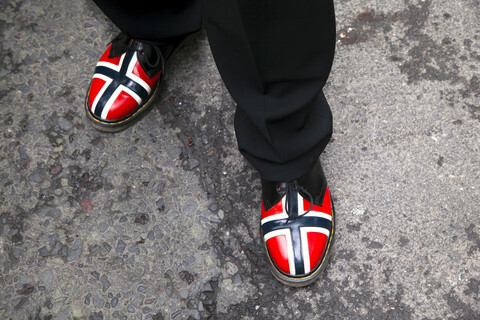 Its internal debates on the election of local party members in Oslo were transmitted live on Norwegian TV on Monday in an unprecedented move. Its Oslo branch also registered 44 percent more members in the past few weeks.